We know how important it is to get sufficient nutrients to maintain proper health. However, even if you eat a well-balanced diet and take supplements, it can be hard to tell if you are still getting all the nutrients you need. For this reason, it is important to routinely test nutrient levels. In this post we will focus specifically on testing vitamin B12 levels. Vitamin B12, also known as cobalamin, is a member of the vitamin B complex that includes other vitamins like niacin and folic acid. Vitamin B12 is naturally manufactured in the intestines of animals, so it can only be obtained by eating animal products such as eggs, fish, and red meat. For this reason vegans and vitamin B12 have a special relationship because vegans must ensure they get their nutrients from other sources. So, what does vitamin B12 do? Vitamin B12 is essential for proper functioning of the nervous system, which includes your brain. It also plays a key role in the creation of red blood cells. Additionally, vitamin B12 assists with the metabolism of other nutrients. Overall, vitamin B12 is a vitally important nutrient for proper health. Even a minor deficiency can have adverse effects on cognitive ability. Testing vitamin B12 levels is done by taking a blood sample. If you have ever had your blood drawn, the procedure is identical. Typically the sample will be drawn from a vein in your inner arm; though in some cases, it is necessary for the phlebotomist to draw blood from the vein in your hands. To prepare for blood testing, you should not eat or drink for 12 hours before the test. The exception to this rule is water—you can and should drink plenty of water before the procedure. Well-hydrated veins are easier to find, so if you are afraid of needles this means less time will be spent trying to insert the needles. Depending on the comprehensiveness of the test, one or two vials of blood may be taken. Typically, testing vitamin B12 is done in conjunction with testing vitamin B9 (folic acid) because both vitamins play a role in creating red blood cells. A deficiency of either could lead to anemia, particularly megaloblastic anemia. The normal range for vitamin B12 is 110-1500 picograms per milliliter, though these numbers may vary by lab. Why Test for Vitamin B12? As mentioned above, vitamin B12 is necessary for the functioning of several body systems. Therefore, it is important to test vitamin B12 levels to ensure that your body has all of the nutrients it needs to function properly. People who are at high risk for deficiency – such as vegans, pregnant or nursing women, the elderly, and those with absorption issues – should regularly test their B12 levels. Other people who are experiencing cognitive decline (such as dementia) or who have anemia may want to test their B12 levels to determine the cause of their illness. Testing vitamin B12 levels is a minimally invasive way to ensure that your body has all of the nutrients that it needs for optimal functioning. As part of our vitamin B12 sales, we’ll help you monitor your nutrient levels. 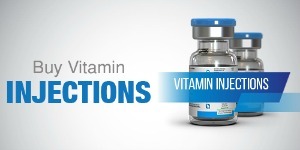 Check out the selection of vitamin injections we have available and let us help you get back on track to proper health.